Thursday. Another long day in the Operating “Theatre”. Staff is tired but spirits are high! Making a difference in the lives of these patients is our fuel and we wouldn’t want it any other way! Wednesday – Super busy at Holy Family Hospital today. Start at 07:30, end at 23:30. 16 surgeries. Very tired yet still happy to be here! Happy Monday from Ghana! Busy 1st perioperative day for the team! A quick 6:30am breakfast then off to Holy Family Hospital to begin an intense and exhilarating week of surgeries. Today we successfully completed 10 surgeries in 3 OR “Theatres”. Amazing effort by this amazing team on our 1st day! Back to the hotel at 10:00pm for a quick dinner and sleep before we gladly do it all over again tomorrow! Greetings! A short “work” day for Team Michigan. After a morning of triaging patients, we headed off to Boabeng/Fiona Monkey Sanctuary followed by Kintampo Waterfall. Beautiful day with amazing sights! Gearing up for a busy day tomorrow! Greetings from Ghana! A busy morning unpacking, organizing and triaging followed by a quick trip to the market for coffee (a staff necessity!) and other items. We took a stroll before dinner down the street for fresh coconut water then back to the hotel for a delicious meal. The evening was spent on the hotel’s patio with some refreshing Ghanaian beer, good conversation and card games. Tomorrow will be spent organizing more supplies, meeting more team members and triaging more patients. Detroit team members are all checked in for our first leg of our trip to Ghana! Meeting the rest of the team in JFK and then on to Accra. Team Michigan’s mission to Ecuador completed 47 surgeries successfully. Please watch our short documentary and share it with our friends! We would like to thank all of our donors and dedicated team members. Operation International Team Michigan in Riobamba, Ecuador. Final blog post. We are all home safely and in our respective states and countries! We are starting to adjust back to our normal routines and we apologize for not being the best at keeping the blog up to date, but once the surgeries started every member of our team was busy and worked long into the night. The mission week was filled with lots of laughter, amazing surgeries, and yes… exhaustion. Our team members were extremely hard working throughout the entire trip. We had a very busy last few days with long days of surgeries, hence the lack of communication. Both the Operation International team and the local team worked very well together with strong bonds and friendships formed. It was a beautiful day Wednesday, we were able to see Cotopaxi mountain on our way to the hospital. Some of us awoke to warm showers today. The rest of us were left in the cold. A friendly feud was had between the have’s and have not’s! After a breakfast of fresh fruit, delicious omelets, and warm unknown juice we headed to the public hospital of Riobamba, Ecuador. Twenty four of us split into 5 different cars and arrived at the hospital lobby where patients were quietly waiting for us. It is Sunday morning and aside from our surgical mission group, the hospital staff assisting us, and the patients the hospital was eerily vacant in the morning. Our first mission was to unload our 54 crates and bags of surgical equipment to the operating room. We were excited to get underway! On October 16th, Operation International Team Michigan boarded with all of the medical equipment necessary for their mission in Ecuador. Click ‘Read More” below to see a slideshow of their departure from Detroit. We are HERE!!! Everything went smoothly and all of the baggage got here which is amazing. Everyone made the connecting flight in Atlanta and it was so exciting for us to meet many of our other team members there. The energy was amazing as everyone was just so excited for what the future week had in store. It was fun for both of us to hear about everyone’s history and what they were most excited for during the mission. It’s been a great mission so far. Today we finish with 15 more cases before we pack up the operation room and head to the Mara. Kenya relief have been great hosts and a bond has been formed. The town of Kakamega lies in Kenya’s second most populous county about 30 kilometers north of the equator. Within this county, Kakamega Provincial General Hospital has a catchment area of over 4 million. After the ISMS Pediatric mission to Kakamega took place last year, the need for medical attention in this region was so outstanding that a new ISMS team (Team Michigan) was created with a goal to return to this area for their first mission. 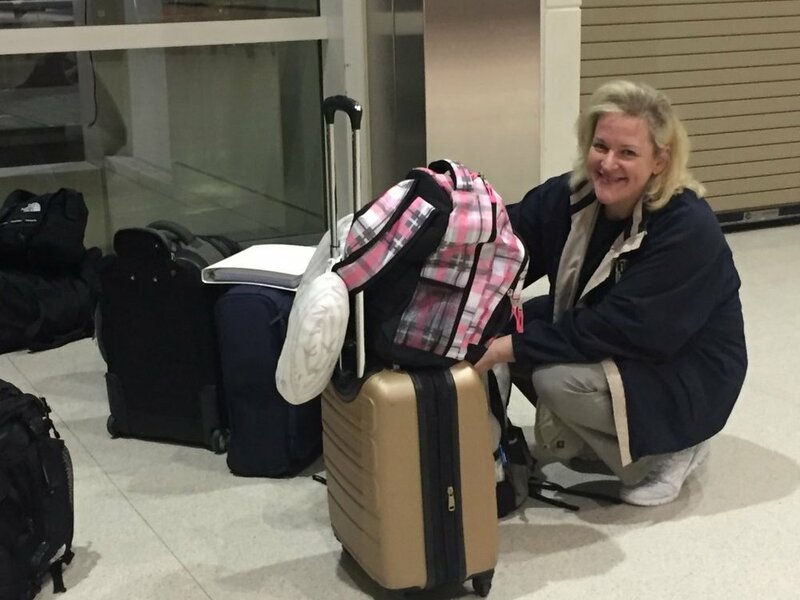 We have 24 team members from 4 different countries (US, Canada, Ireland and Italy) and from 4 States in the US.We will be traveling 8,000 miles with 60 pieces of luggage full of supplies for the week long surgical mission plus hundreds of flipflops/clothing/toys and school supplies for the local children. Not only will we be operating all week with a team of 2 plastic surgeons and 2 general surgeons but we also have an off site team comprised of a Paediatrician, an ER Physician and a Pharmacist heading out to 4 different sites to reach the people who cannot make it to Kakamega. One of these sites is to an orphanage and another is to a school for the disabled.